All students can achieve and succeed. My effort is to offer my students the avenue to reach reach success by fostering independent and confident learners. I will help students develop the skills that are needed to succeed and flourish as they advance in their academic, professional, and personal endeavors. And, very importantly, I will provide a comfortable and caring learning-centered environment. I am a Pennsylvania certified teacher with a B.S. in Biology and MEd. in Science and Mathematics. I have taught at a prep school for over 30 years. I have taught at many levels of subjects for several years with great success. During our summer school program I have taught study skills for both middle school and for high school students. I know I can help students with techniques and skills to improve their grades and confidence. My degree is in biology and I have taught about plants for over 30 years. I have taught all the chemical background of photosynthesis and the developmental aspects of seeds and embryo development. My students have been involved with several projects about trees and flowers as well. I have taught biology at a prep school for 33 years. Genetics is an integral part of the curriculum and so I have taught genetics for several years. Additionally, I have taken several courses in genetics both on the undergraduate and graduate levels. I have taught biology for 35 years and currently teach biology and AP biology at a prep school. I do teach a significant amount of information on animals as part of our organismal unit. This certainly includes zoology. 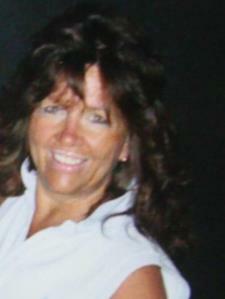 I am a Pennsylvania certified teacher in the area of biology, chemistry and general science. I am a Pennsylvania certified teacher with a masters degree in education and a concentration in science and mathematics. I currently teach at prep school and direct a summer school program. I do have the experience of tutoring for the praxis in several areas as part of the state of Pennsylvania requirement.